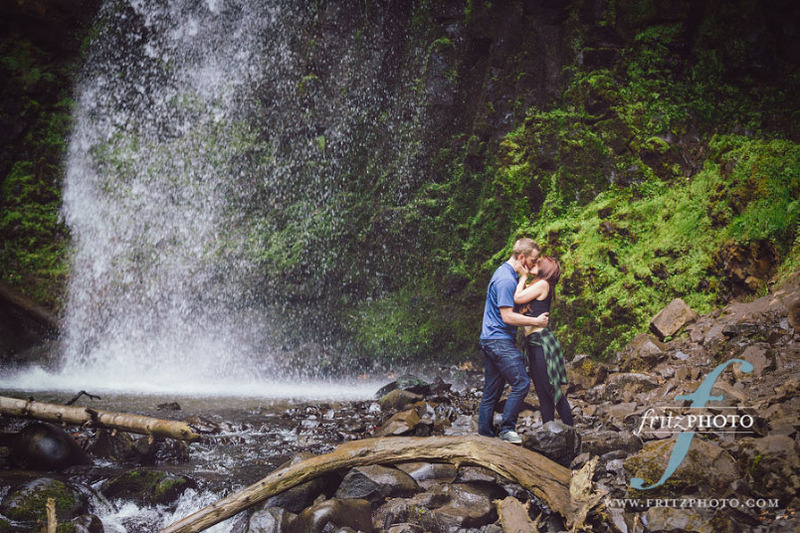 A proposal in the gorge is one of our favorite proposal locations! What was also amazing is that Laurie, our photographer, and the newly engaged couple are all from the same suburb of Dallas, TX. They could not believe it! What are the odds? Justin had Laura’s ring custom-made and it was absolutely stunning. She is really into archaeology, and he had dinosaur bones put on either side of the stone. It was so thoughtful, and so obvious how perfect the two of them are for one another. 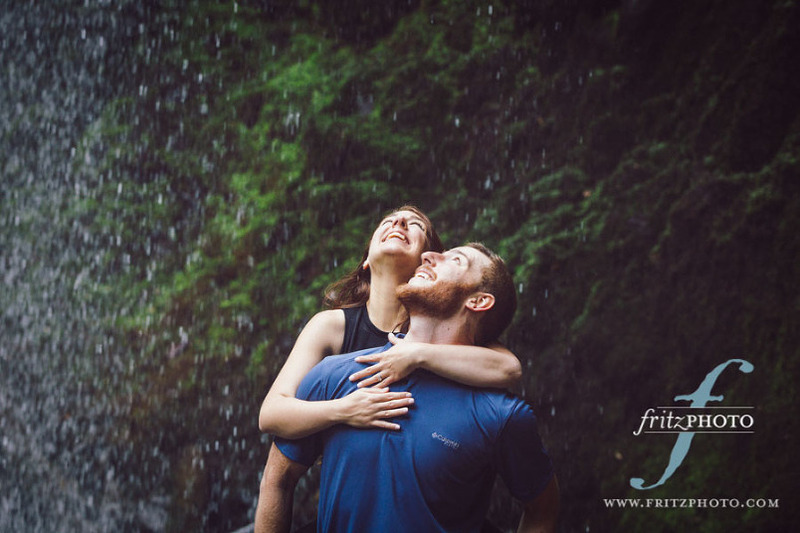 The happy couple admiring the waterfall at Latourell Falls. We had a lot of laughs during this engagement photo shoot! 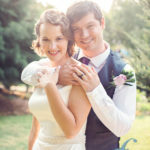 The stunning custom-made engagement ring that Justin surprised Laura. 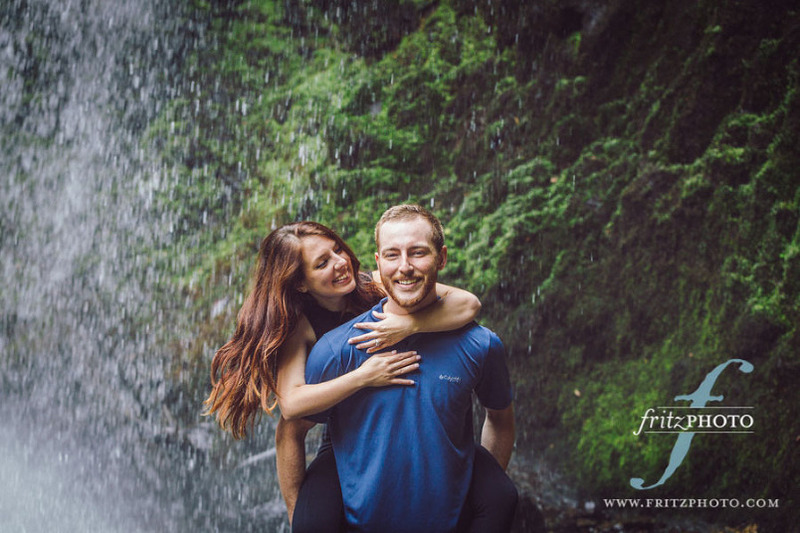 Are you planning a proposal or engagement in or around Portland, OR area? If so, we’d be honored to photograph it. Contact us today!